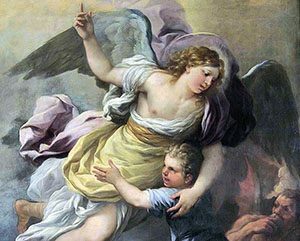 Father David Caron spoke about “Guardian Angels” on this month’s Spiritual Outreach Call. Please click on the play button below to listen. Pictured above is an 18th century rendition of a guardian angel.